I went fishing today. The weather was beautiful. The lake was calm. And between me and my father-in-law we caught… one bream. One. I only got two other nibbles the whole time we were out there. He only got one or two nibbles. We switched baits. We fished with rods and reels and jig poles. We tried live bait. We tried shallow. We tried deeper. We fished for crappie. We fished for bass. We fished for bream. We pulled up beside other fisherman and asked them how deep they were fishing. We asked them what kind of bait they were using. We asked them if people had been catching many here lately. All of these efforts and we only caught one small fish. Yet, even before we got the boat back to my in-laws’ house, we had already made comments about the next time we go fishing. You see, just because this fish didn’t bite this time doesn’t mean they won’t bite next time. 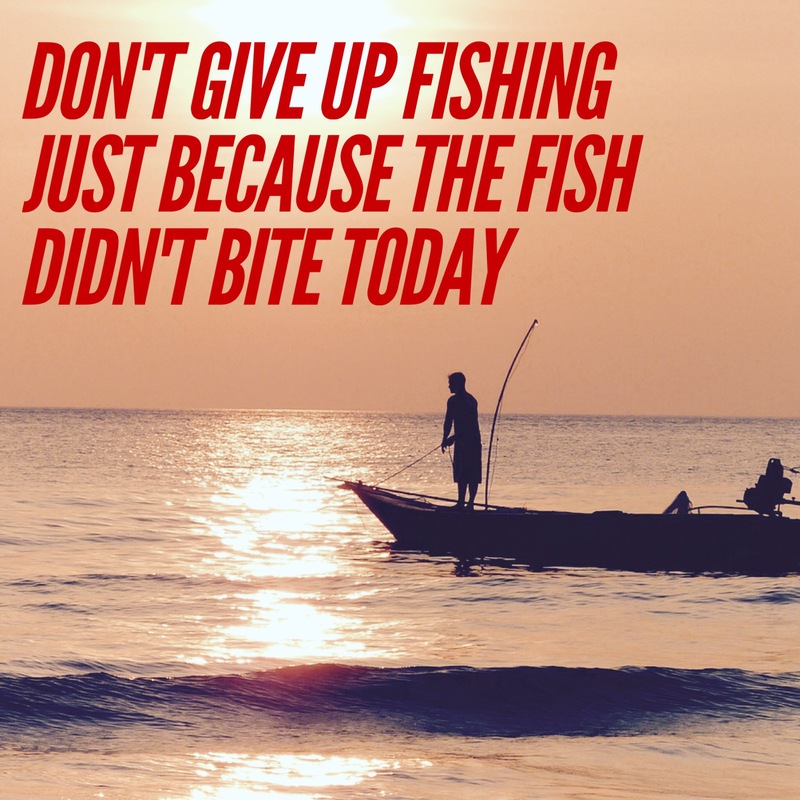 We’re not going to quit trying to catch fish just because it didn’t work out the way we wanted one time. We’ve caught fish in that lake and other lakes. We’re not going to let one discouragement… one let-down… one disappointment keep us from doing something we love. And you shouldn’t either. Don’t quit. Don’t give up just because of a “one-off.” So things didn’t work out the way you planned or hoped. Find the positive and plan and hope again! Look, in the end, I had a great time with one of my best friends today. We enjoyed beautiful weather and God’s creation. We laughed and relaxed. Sure, I wanted to load the boat with fish today. And so I’ll go again because the possibility still exists for it to happen. There is great possibility still for you as well. So, check this day off and make plans now for making the next time the best time ever. P.S. – This weekend we celebrate Easter… the resurrection of Jesus Christ from the dead after His suffering and death to take our punishment for the sins we commit against God… Interestingly, after He rises from the dead, He helps some of His friends who had been fishing and caught nothing to fish again and miraculously catch a boatload of fish. Perhaps factoring Him into your equation might turn your situation around as well! Prev Post: Panic or Peace?